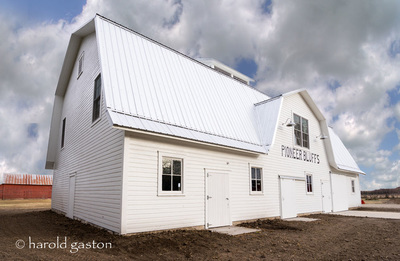 Pioneer Bluffs is a historic ranch and farmstead listed on the National Register of Historic Places. 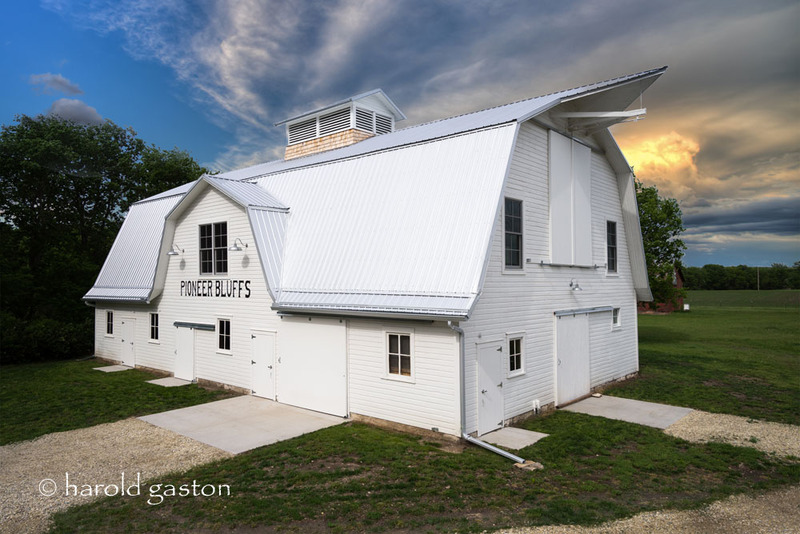 The Pioneer Bluffs Organization strives to carry on the legacy of its creator, Charles Rogler, by respecting the land, preserving history, and engaging the community. The 2,800 square foot agricultural barn built in 1915 is the backdrop for many of the activities the push Pioneer Bluff’s mission forward. 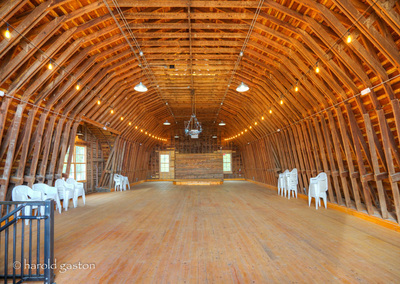 The barn has been renovated inside and out to become a full functioning event space, a bar, stage, and a smaller, secondary lofted event space. 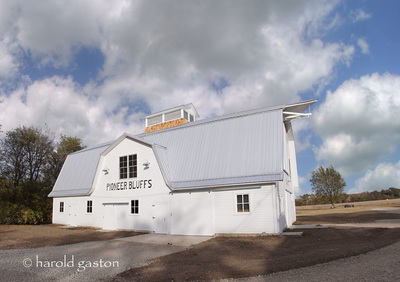 Exterior preservation improvements included repairing the existing lap board siding as well as installing new wood ship lap siding to match where repair was impossible. 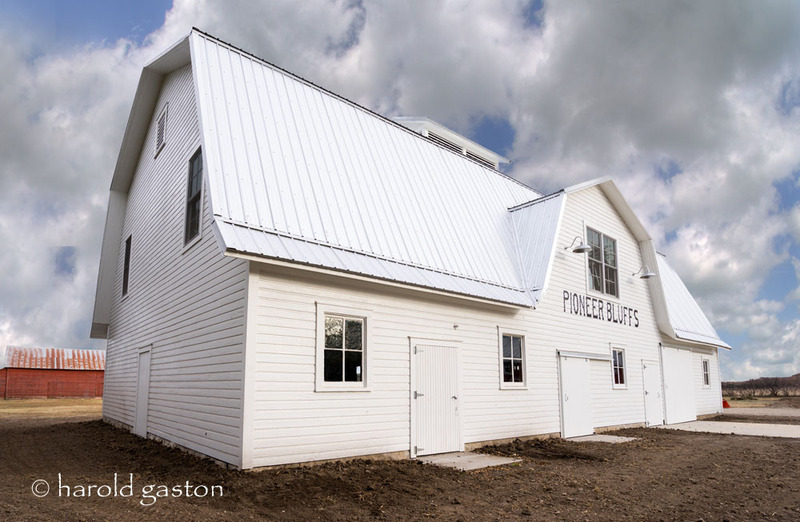 Sliding barn doors and windows were repaired by replacing hinges, tracks, hardware and rotten wood. The rough openings for the windows on the second floor had been covered at one time. 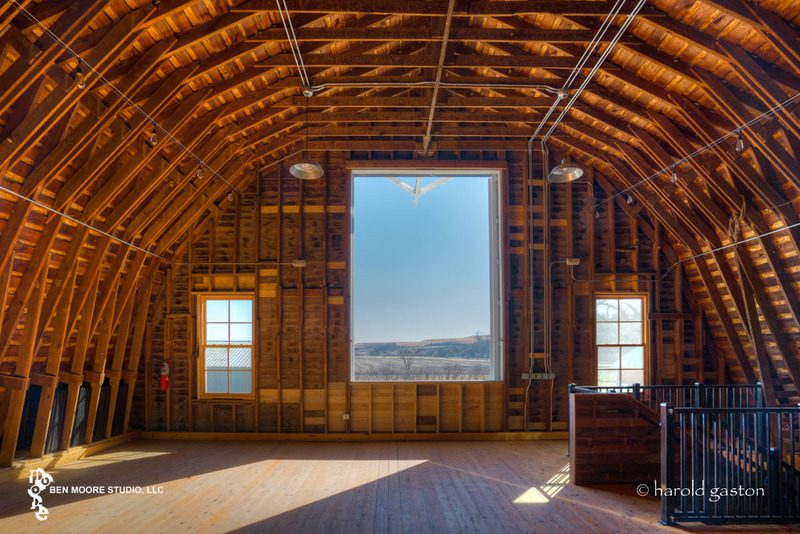 Utilizing historic photos for authenticity, a 4/4 wood window was installed on each side of the sliding door on the south façade. A pair of 4/4 wood windows was also installed at the west façade and at the gambrel roof dormer, and on the north facade. Exterior barn style lights were installed at the entry and exit doors to match the existing lighting. The gable roof cupola included repairing the wood shake shingles on the siding and a new metal roof. 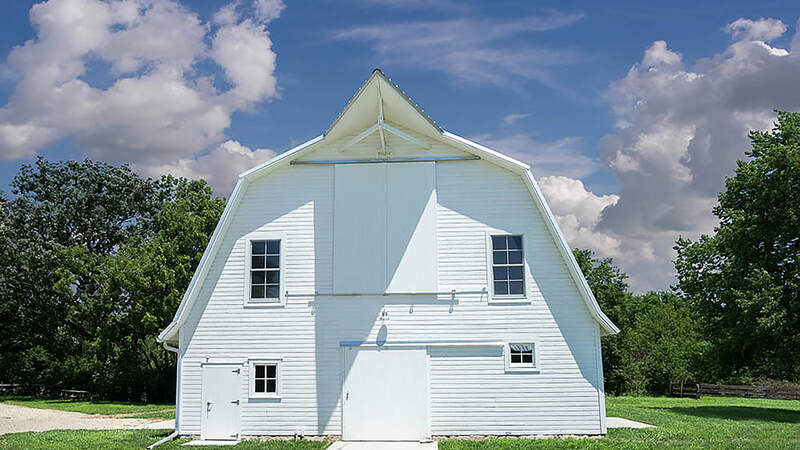 Preserving an aged barn back to life can be a challenge but a large portion of work resulted from changing the use of the structure from an agricultural barn into an event space. 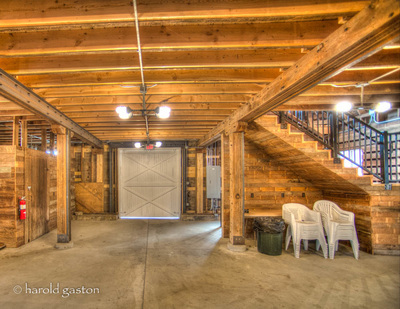 The structure and circulation of the barn was definitely not up to code to hold large groups of people. The existing floor structure including its foundation needed reinforced. 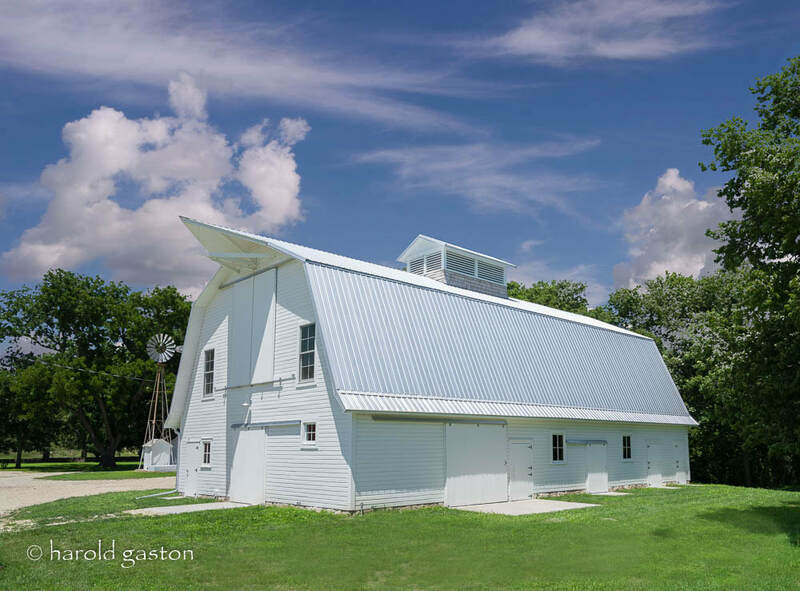 These structural changes included installing a foundation at the column locations that had previously rested on a four-inch piece of limestone. 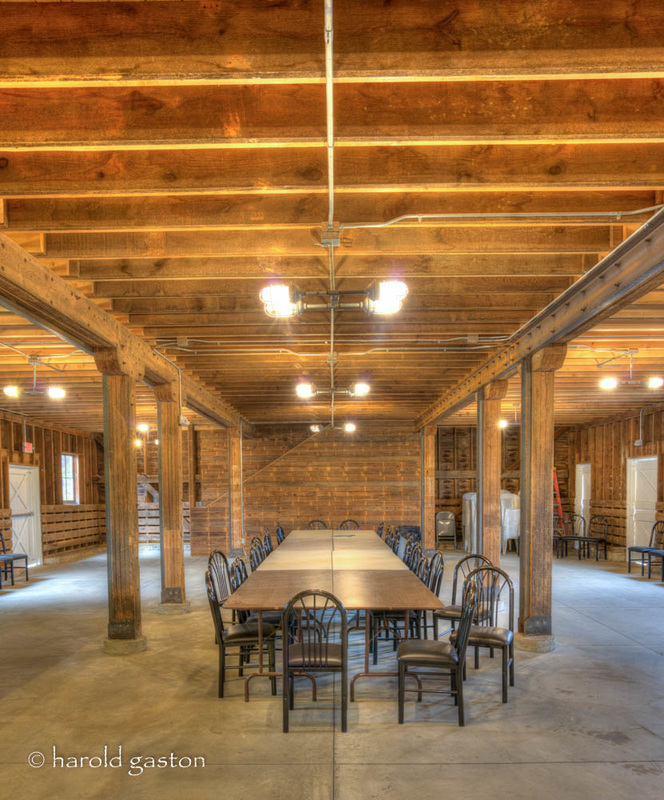 Once the foundation was in place the column and beam system could be secured by upgrading the existing wood system with flitch beams and columns. 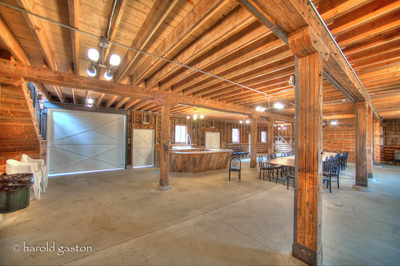 The use of flitch beams allows for improved structural stability, while maintaining original member dimensions. 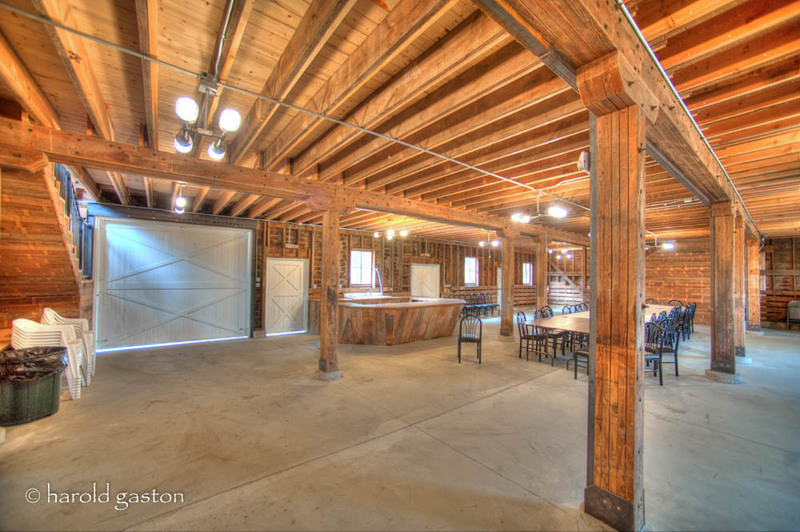 This detail introduces steel into the space in historically sensitive way. 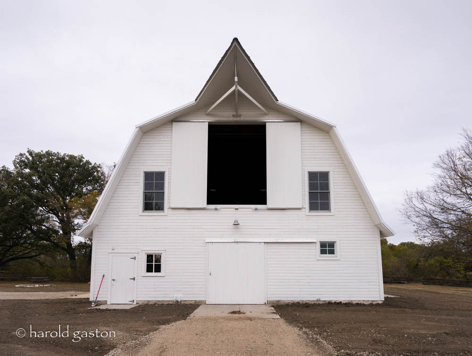 Typically, in a barn, the structure is the finish. 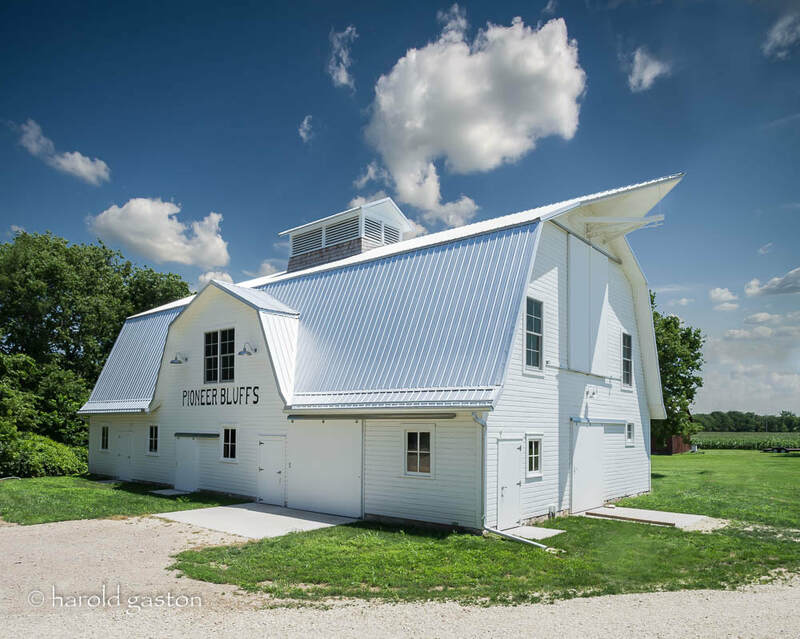 Introducing steel into a historic barn could possibly change the character of the space. 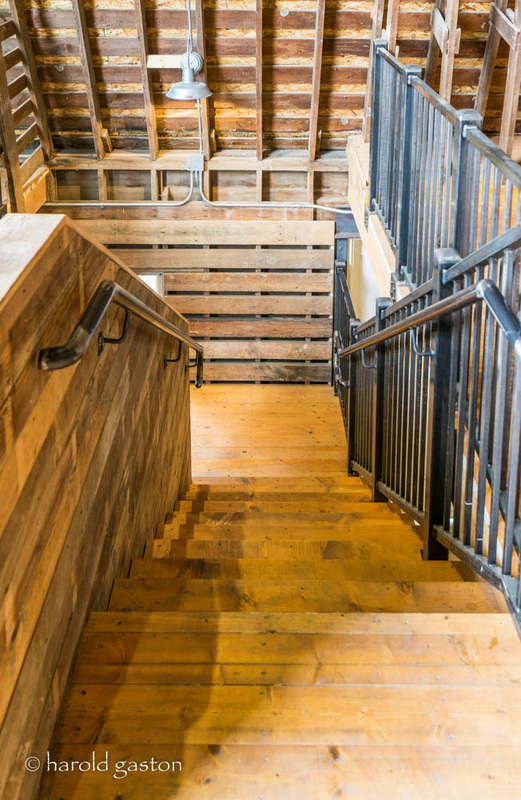 Sandwiching the steel between the wood originally used is the perfect solution to increasing while maintaining authenticity. 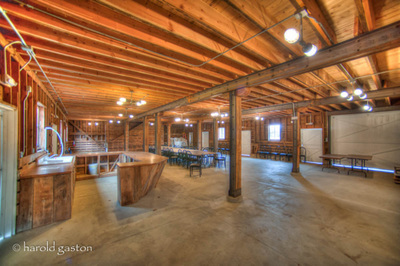 The joists of the second floor were sistered with new wood joists as well. A second stair was added allowing for better circulation to the upper event space and a means of secondary exit. The life of this historic barn can continue through the various engaging activities that take place in the barn including tours, fall festivals, lectures, and even wedding receptions.